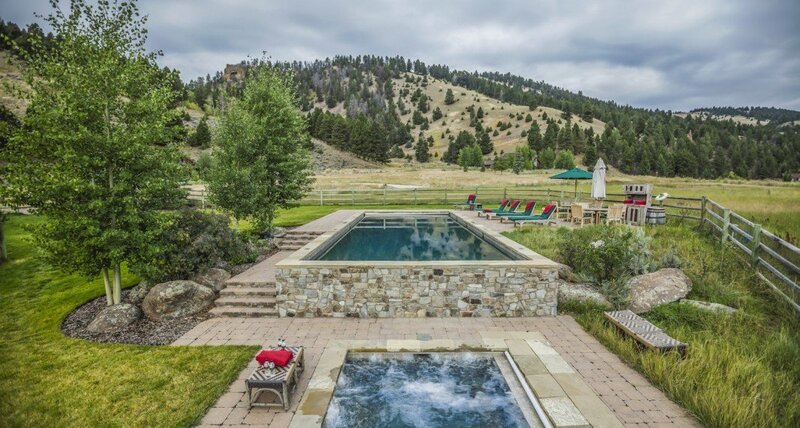 Our 25,000-gallon outdoor heated pool allows you to enjoy the sunshine and cool off after a trail ride or hike. 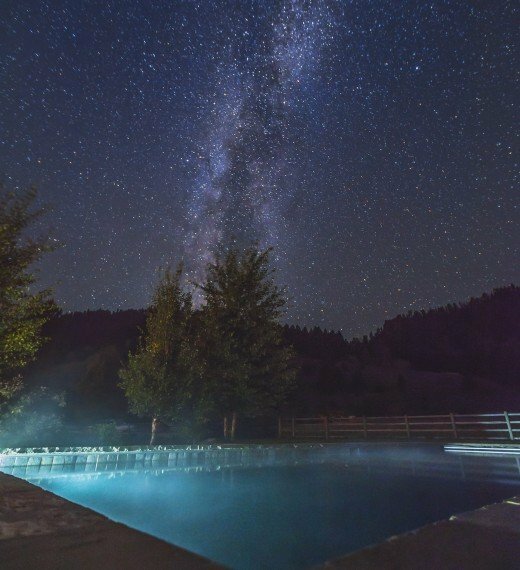 Although a pool may be a typical resort amenity, The Ranch’s version is designed to enhance Montana’s stunning landscape. It is encircled by a natural stone patio and an 800 sq. ft. lounging area. 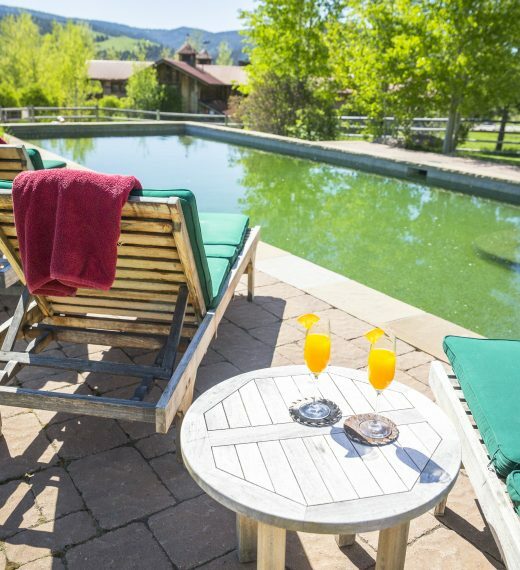 The large size makes it perfect for families and other groups, but with plenty to do at The Ranch, you’re all but guaranteed a private moment in the morning or evening to swim some laps. Available in all but the coldest months, it’s a rare privilege to float and gaze at the Big Sky and surrounding valley. 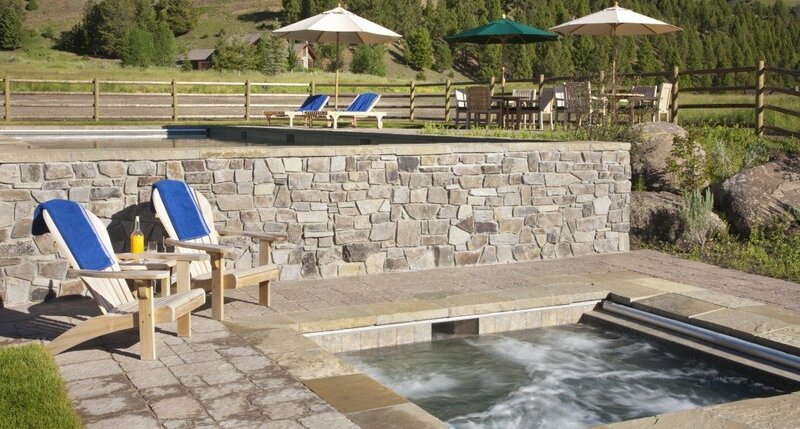 The hot tub is open year-round, serving as our own private hot springs.